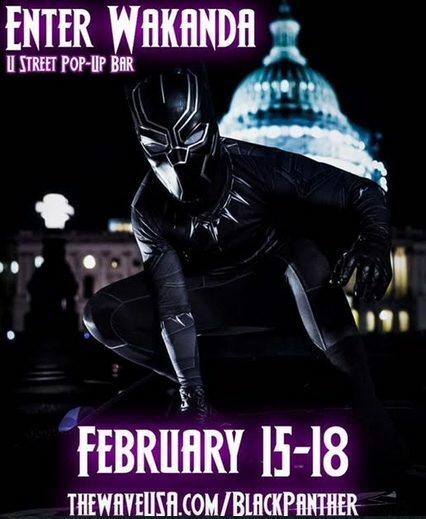 PoPville » Black Panther Pop Up Bar Coming to Red Lounge at 14th and U! “On Thursday, February 15th, The Wave USA will unveil their “Enter Wakanda”, interactive experience and pop up bar event at Red Lounge located at 2013 14th St NW. In celebration of the premiere of Marvel’s Black Panther, the pop-up bar will be available to the public from Thursday through Monday, highlighted by interactive experiences, art installations, musical entertainment and a specially curated drink menu. • Commissioned local artists to develop themed rooms. • Commissioned local technicians to create unique light installations. • Featured a collection of local DJ’s to curate the music for the experience. 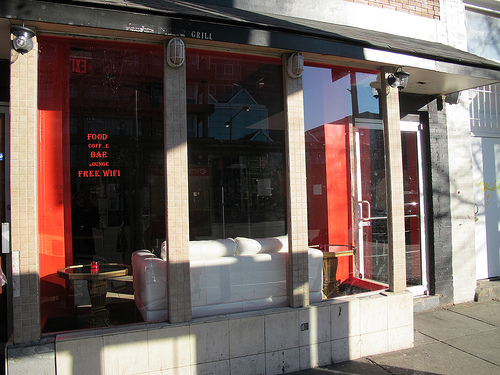 • Featured one of DC’s hidden gem black owned restaurants in the middle of the U Street corridor.